In the present transcribed, edited and annotated talk, biologist Mildred García González provides an account of the use of medicinal plants in Costa Rica and the set of beliefs around it. She addresses the dangers of misinformation and why the use of medicinal herbs should be a concern for everybody and not just for those using them. The talk may be read as the story of an intense resistance, David versus Goliath style, a tenacious fight against a complacent system that seems to cling too much to its Western ideals. M. García González is the author of the original talk. M. Ortega-Rodríguez and H. Solís-Sánchez were responsible for transcribing, translating, editing and annotating the talk, including the vignettes; their comments appear within square brackets. García-González, M., Sáenz Campos, D., Rojas Mora, L., Tinoco Mora, Z., & Bonilla Pignataro, J. (2003). 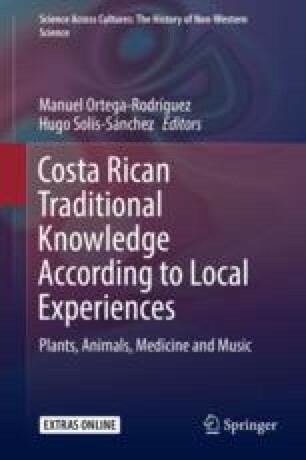 Exploración del uso de plantas medicinales en zona urbana de Costa Rica [Exploration of the use of medicinal plants in the urban area of Costa Rica]. Fármacos, 15(2). Retrieved from http://www.binasss.sa.cr/revistas/farmacos/v15n2/art7.htm.